Bagden Hall was built in the mid-19th century by a local mill owner as a residence for his family, whose portraits hang in the foyer, and it combines all the warmth, character and charm of a bygone age together with the luxuries and facilities expected of a modern hotel. 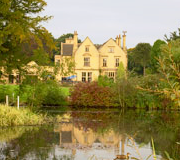 The hotel sits in 40 acres of secluded parkland, with its own lake and 9-hole golf course. A well-known pub restaurant and hotel overlooking Ingbirchworth reservoir. All rooms are en-suite and fitted to a high specification with large double beds, luxury duvets, desk, direct dial telephones, mini music systems, televisions and hot drink-making facilities. 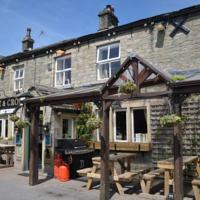 The Foxglove is a member of the Innkeeper's Lodge Collection of value hotels suitable for business accommodation or a leisure break in Kirkburton, with the added benefit of being on the doorstep of a great pub restaurant. Complimentary continental style breakfast is included for guests. 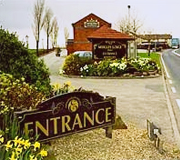 Sharing grounds with the Black Bull Inn, Midgley Lodge Motel offers luxury bedrooms with views of the countryside and 9-hole golf course. The Rose & Crown provides bed and breakfast in three newly refurbished en-suite rooms, with superb homemade food and hand-pulled real ales in the bar. A well-renowned restaurant with an enviable reputation for fine dining, situated close to Emley Moor TV mast. 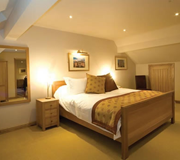 Accommodation in luxury facilities in adjacent weaver’s cottages. 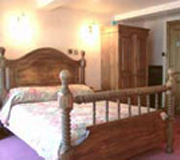 The Woodman Inn provides fully-equipped comfortable country accommodation. 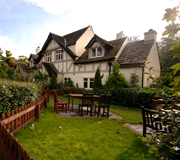 It has been awarded 4-star status for Country Inns by both the English Tourism Council and the AA. Situated in open countryside in pleasant walking country.